There is life beyond death. But not life as we have it today. Not life full of trials, despair, or let downs. No loneliness or manipulation or violence. Yes, there is life beyond death, but it will be almost completely unrecognizable to us that we will struggle to even call it life. It will be life with all the bad stuff taken out and all the good stuff amplified to the point that we will hardly be able to bear it. And yet we will know it, find rest in it, and feel as though it is precisely the thing we were made for. The funny thing about this life, though, is that it’s a person. With a name. This is the hope that Christians have – the hope to which Paul alludes in Colossians 1:5. 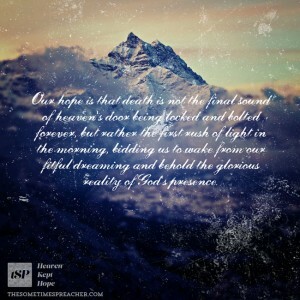 It is our heaven-kept hope. Sure, we catch glimpses of it, of him, in this life, like we are peering through a keyhole into a gloriously sunlit courtyard full of blooming flowers and fruit-bearing trees. But we don’t experience the full fulness of him today. 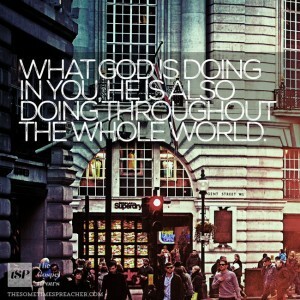 We walk by faith, not sight. Our hope is that death is not the final sound of heaven’s door being locked and bolted forever, but rather the first rush of light in the morning, bidding us to wake from our fitful dreaming and behold the glorious reality of God’s presence. Death is not the fearful enemy, but rather the welcome transition from this life of faithfulness to the eternal life of fulness in the presence of Jesus. It is this hope that allows us to live with such fierce love and faith today. We love because of the fulness of love that awaits us, and that we taste in parts today. We live in faith now because of the power of the presence of God that we are destined to experience in heaven. 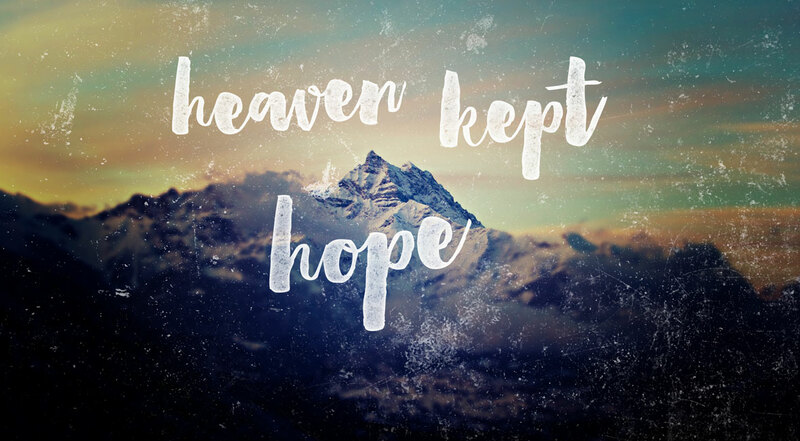 Heaven-kept hope is not simply delayed infinite gratification; it is the source and strength we need to live each day on this side of death with faith in Christ Jesus and love for all God’s people. We live in a culture that is becoming increasingly vengeful and shame-oriented. Through social media, we have self-appointed watchdogs seeking to destroy people who make seemingly racist, homophobic, or otherwise objectionable comments. Justine Sacco’s life was ruined by vengeful internet shamers after she sent a sardonic tweet before boarding a flight to Africa in 2014. This kind of shaming goes far beyond what justice demands, gleefully devastating the lives of those who are deemed to have crossed the cultural line. Vengeance and shame are, ironically, attributes that are often ascribed to God. Yet it is we who, upon laying claim to the throne of Judgment, take on these very characteristics. It is into a chaotic, swirling environment of judgment, vengeance, and shame that Paul boldly proclaims, “grace and peace to you from God our Father.” When God opens his mouth to speak he increases neither the anxiety-inducing shame nor the fear-engendering vengeance of our world. 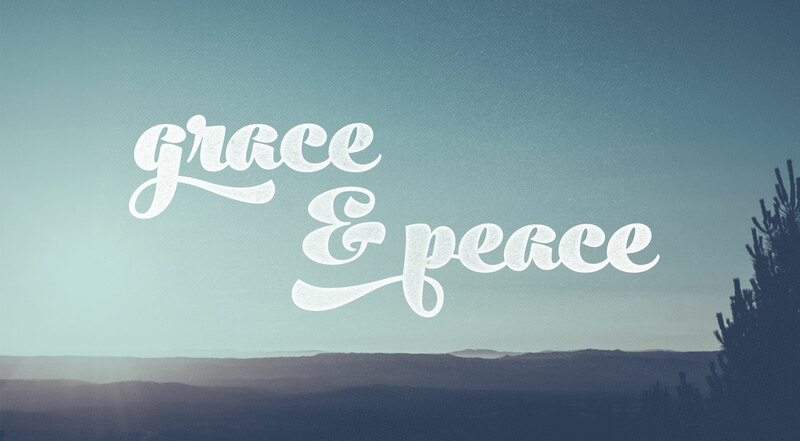 Instead, he disarms both by speaking grace and peace. Because your soul doesn’t need any more hypocritical, self-righteous watchdogs spewing shaming invective. 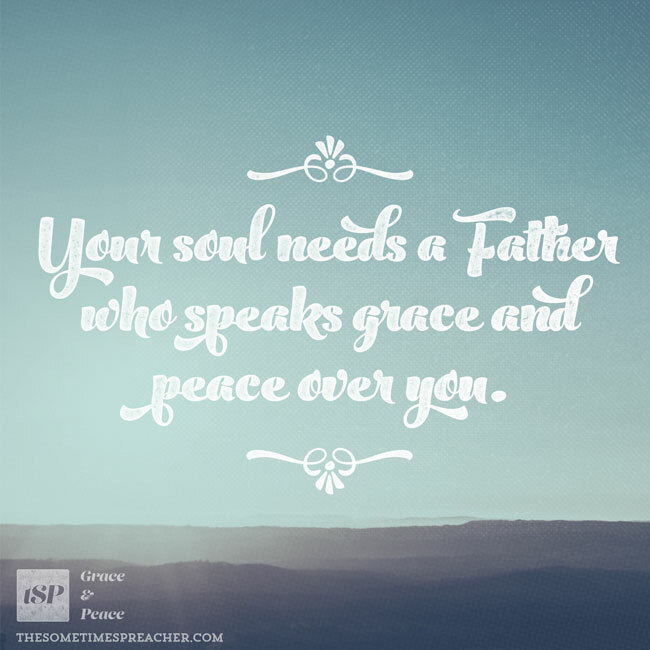 No, what your soul needs is a Father who speaks grace and peace over you. Shame and vengeance create fear and anxiety; grace and peace foster love and hope. Yes, it’s true, God did say once, “Vengeance is mine; I will repay.” (Deuteronomy 32:35) And how did he repay the sins of humanity? By sending us his Son, in whose death we find full and free forgiveness of all our wrongdoing. This is grace. Here is peace. 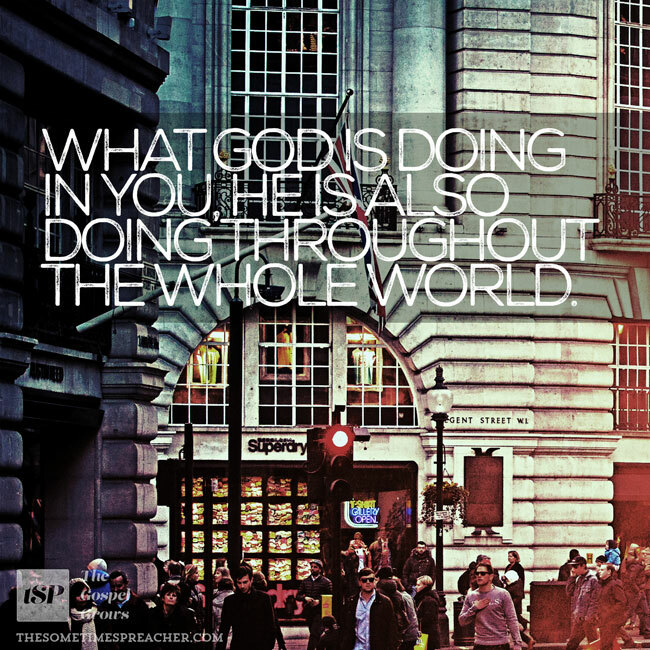 And it is for us, from God. God is not a part of the shame and vengeance cycle; he has offered the only way out – through his son Jesus. Will you take it? And by taking it, will you live it? 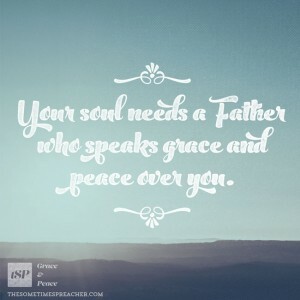 Become a true child of God, speaking grace and peace to souls in desperate need of it.